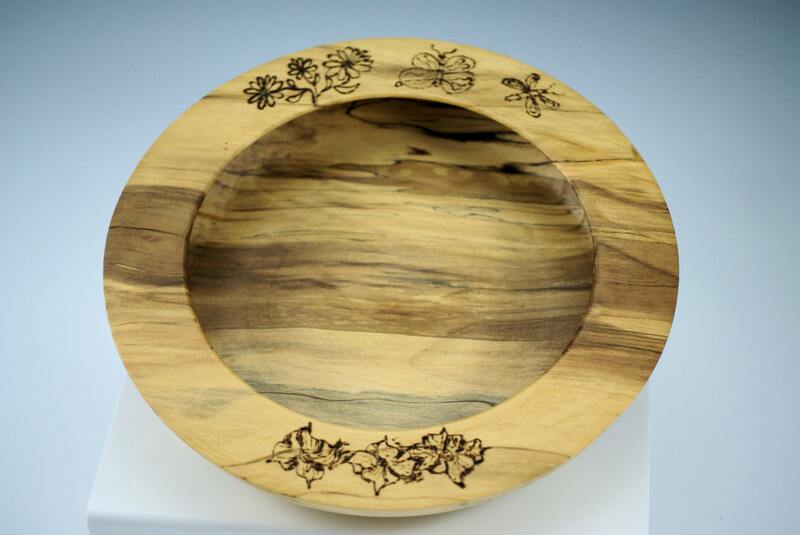 I made this Wooden Bowl as a Center Piece out of Chinese Elm. It is a perfect piece for your home or office decor. 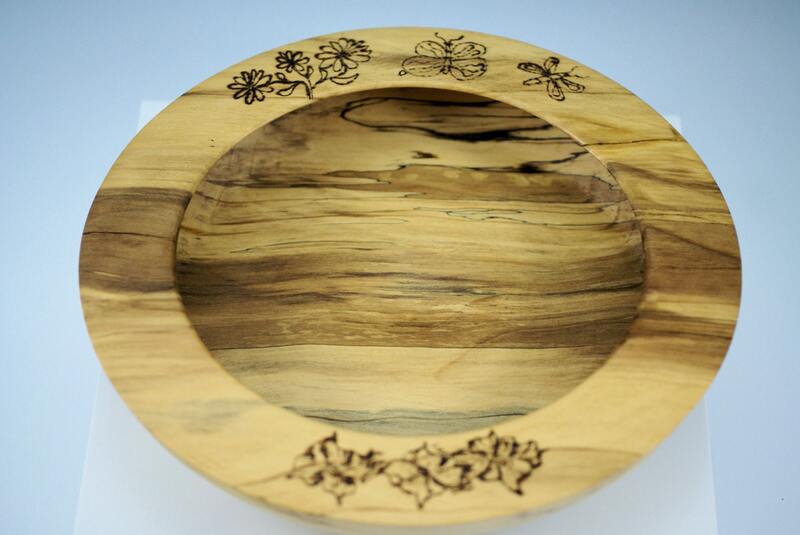 It has pyrography on the flattened rim and the bowl was undercut at the rim. 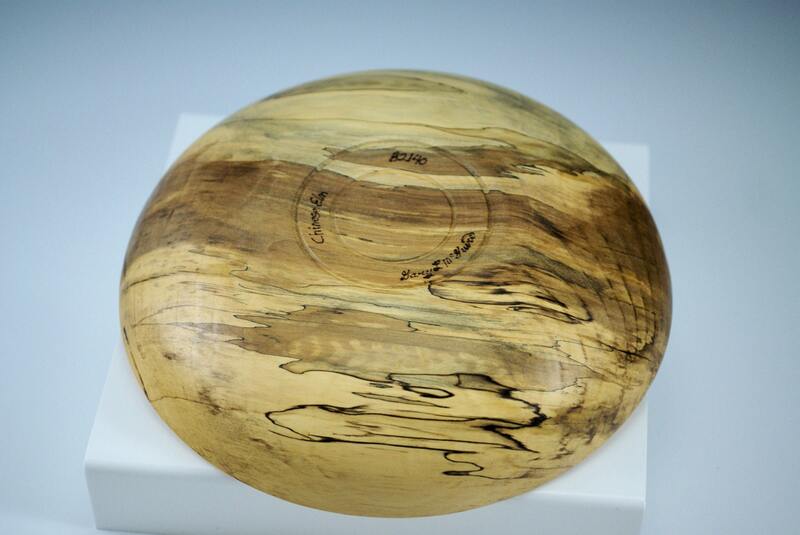 This piece of Chinese Elm wood has a great deal of spalting adding to its contrast. It has been finished with Walnut Oil and Carnuba Wax as an all natural finish. It is 9 7/8" in diameter and 2 1/4" tall and weighs a mere 9 oz.